We built Pendo to make your landlording life easier, with one platform to manage all your properties. Today, we’re proud to show you the answer: our new Lease Timelines feature. 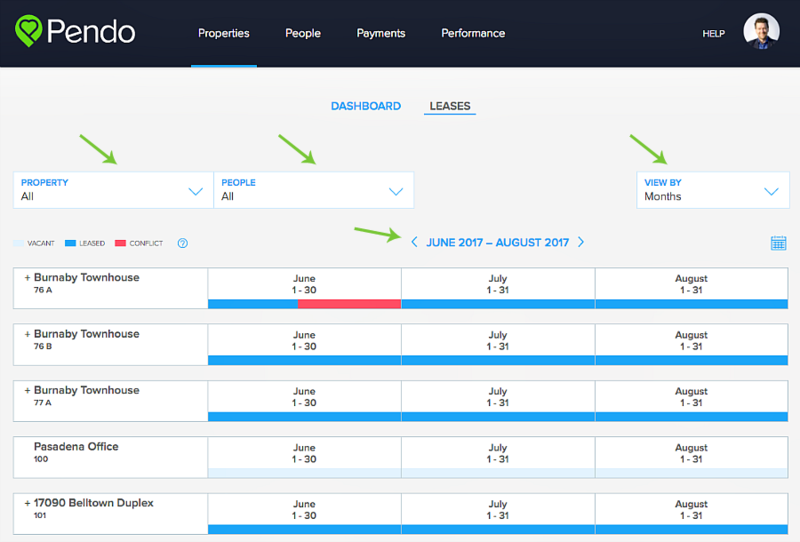 The Lease Timelines feature is a one-stop view for managing all your leases. 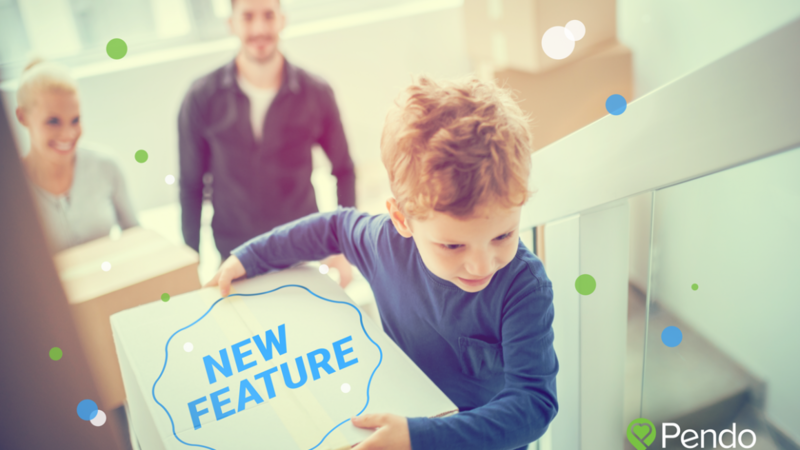 If you manage numerous leases, or if you manage several short-term leases, this feature is for you. Lease Timelines help you easily see what’s happening now, and what’s coming next. Lease Timelines are simple to use. All you have to do is filter by what properties and time of the year you want to view, and then drill down for as much context as you want. Three colored bars give you a quick overview of the most important things you need to know about your properties. Right from the dashboard, you can hover over any lease to check the rental income, or expand the lease to see the full address and the tenant names. If you want to dig deeper to view all the information about a lease, you can click to see the Lease Summary. 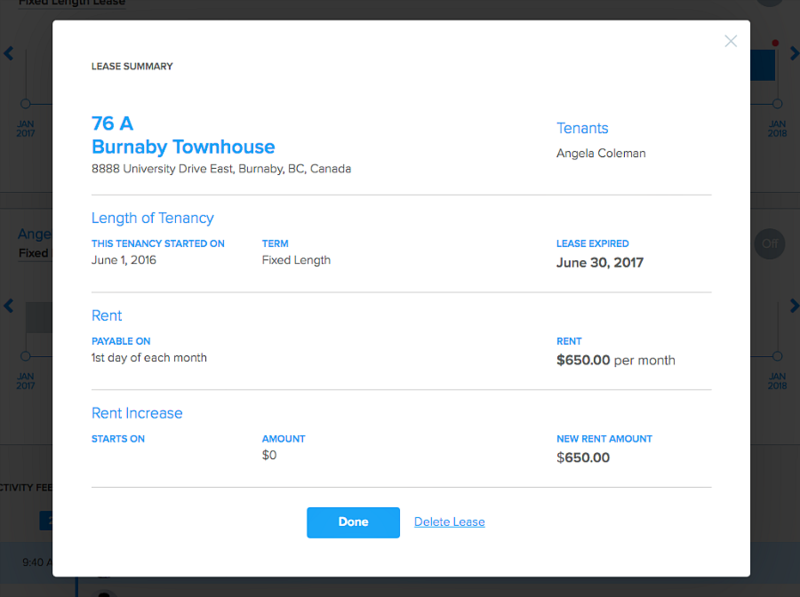 You’ll be able to manage rent increases, see when the lease ends, terminate the lease, or edit an unsigned lease – all from the Lease Timelines dashboard. Lease Timelines are already live! You can check the feature out for yourself here. Landlording can be stressful. We’re trying to make it simple. Adding Lease Timelines is the first of many big changes that are coming to Pendo to make it easy for you to manage all of your properties from one platform. Stay tuned! PS: Have feedback about Lease Timelines? We’d love to hear from you. Drop us a note here to tell us what you think of the new feature. Awesome new feature, love it! This will save me from referring to my spreadsheet for lease renewals! Thank you! Thank you Trish for your support! Great! I have several lease drafts for a single property that I need to remove. Can I safely remove them with this feature without disturbing the active lease? Hi Quentin – You would need to create a new lease agreement to overwrite the current draft. To do so, click Edit Lease, then Save Changes, then Create a Lease Agreement to start a new one! Hope that answers your question! Feel free to reach out through the in-app live chat tool if more issues come up. I recently started using Pendo and I was wondering if there is a video tutorial that would show me how to use it best?